Imagine finding a bird or a mammal that had never been seen before! Would you name it after yourself? It was an exciting time to be an explorer! The huge, unexplored world meant lots of opportunities for mapping newly discovered places, cataloging new bizarre species found, and making sense of the world. 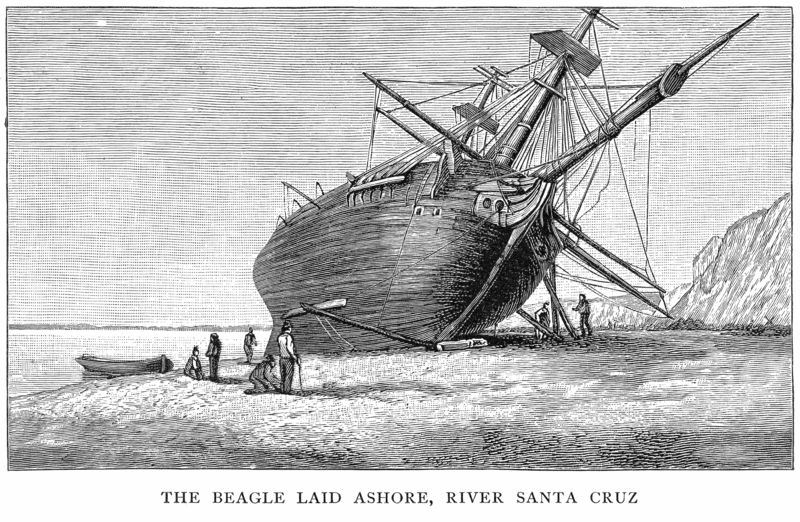 The purpose of the Beagle’s voyage was to survey the coast of South America. 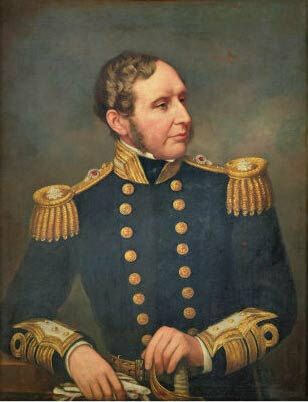 Charles Darwin was invited on board as the Captain’s Companion and naturalist. 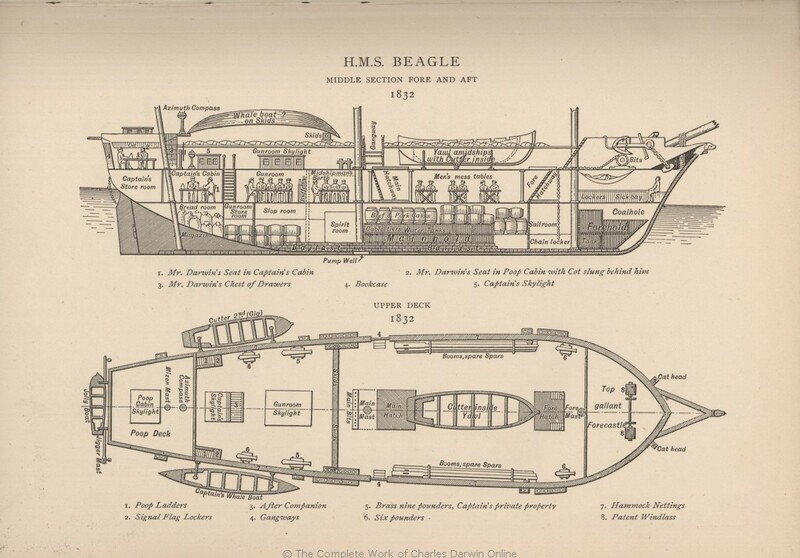 In his time aboard the Beagle, Darwin would describe and collect many new types of animals and plants. Some would be used for research while others would sent to museums or acquired by individuals for private collections. 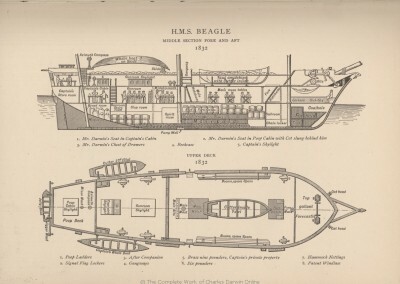 The Beagle was made entirely of wood, and had been converted from a warship to an exploratory ship with much care and to great expense. Weighing in at 235 tons, the ship was armed with seven guns and had been re-fitted with a new deck, under orders of Captain Fitzroy. The raised deck helped stabilise it in the water as this class of ship had a bad habit of sinking. 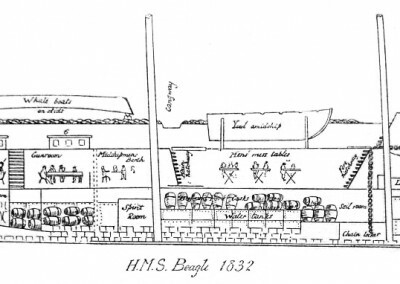 In the Navy, they were often known as coffin brigs! I wonder if Darwin knew this before he agreed to embark on the voyage? I intend sleeping in my hammock, I did so last night and experienced a most ludicrous difficulty in getting into it; my great fault of jockeyship was in trying to put my legs in first. The hammock being suspended I thus only succeeded in pushing [it] away without making any progress in inserting my own body. The Beagle set off from Plymouth, England, reaching the Galapagos Islands on 15 September 1835, after nearly four years of travelling the world. The visit to the Galapagos would prove the starting point from which Darwin would begin to explore and develop ideas about the natural world, eventually leading to his revolutionary theory of evolution through natural selection. He would become one of the greatest scientific thinkers of his time. …very remarkable: it seems to be a little world within itself; the greater number of its inhabitants, both vegetable and animal, being found nowhere else. Click on the buttons to discover more about what Darwin found on each of the Islands!